Looking to nourish your body with vitamins and minerals? 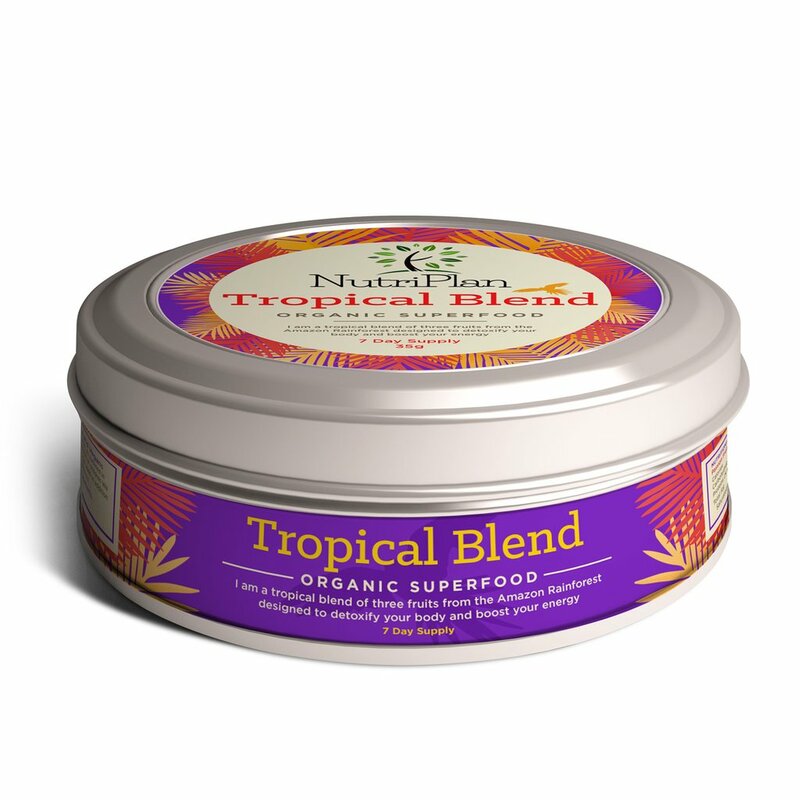 NutriPlan offer Superfood Shakes that can easily be added to your favourite juice or water. 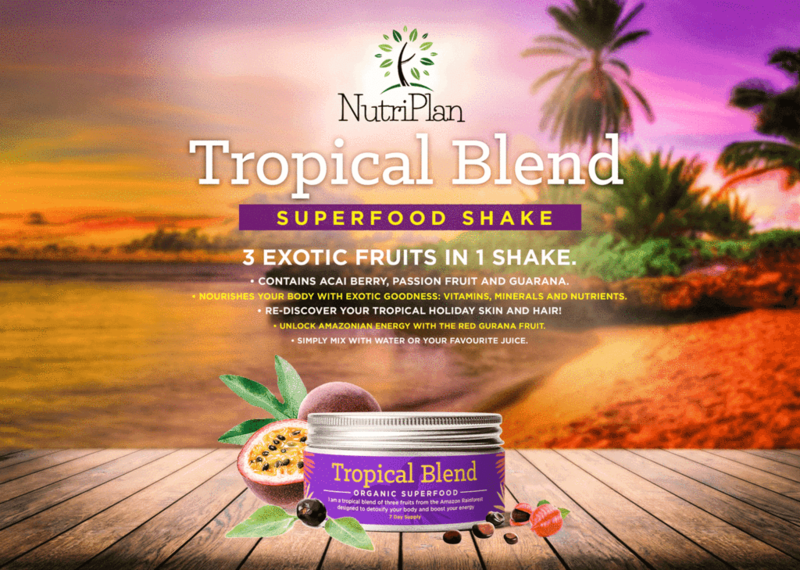 NutriPlan offer many flavours with each one offering different health benefits that your wanting to achieve with your own health. *Lose weight and reduce food cravings with plant based nutrition. *Detoxify and cleanse with natural detoxifiers such as the spirulina which can be found in the Superfood shake. *Healthy, natural energy with the help from Guarana fruit which doesn't give you the jitters like coffee can. *Enrich skin and hair with antioxidant-rich fruits which are packed full with beta-carotene and vitamins. *Improve digestion with high fibre fruits and plants like Kale found in the Superfood shake. *Balance blood-sugar levels and reduce cholesterol with nutritious fruits and vegetables like Avocado and Broccoli. The Superfood shakes are a great way to add nutrients and vitamins into your routine just by adding to your favourite drink, great if you don't or cant take the tablet form. Acai Berry, Passion Fruit & Guarana. Acai Berry is packed full of its antioxidants and omega 6 & 9 fatty acids that help keep your skin and hair healthy! Passion fruit is high in vitamin c helping you ward of any colds and also helps strengthen your hair. Guarana is a natural energy booster which will leave you with a much needed energy boost when you need it! 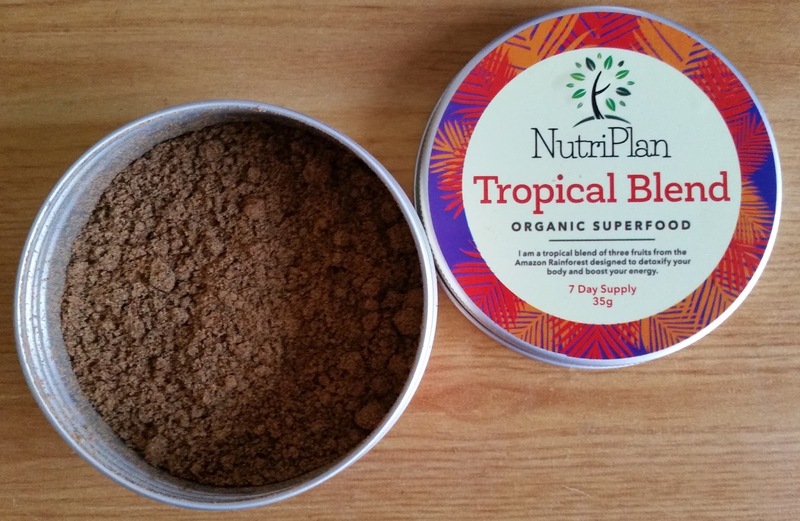 I tried the Tropical Blend with water and juice and it mixed really well, being a powder, and tasted really lovely. You only need a teaspoon a day as that is the recommended dosage stated on the side of the colourful tin. You can now look your best from within and have an energy boost to start your day! Available in 7 or 14 day supply and suitable for vegans and vegetarians, the Superfood Shakes are a great way to be used in addition to a balanced and healthy lifestyle! X Neil.